Hamilton – Page 2 – It's Hamiltime! Here are some decorative Hamilton-themed pins and buttons from around the internet. 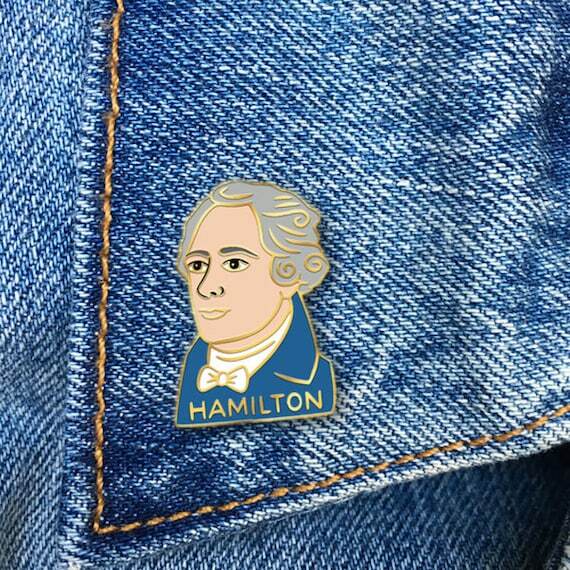 On Etsy, thefoundretail offers an enamel Hamilton pin for $9.75. 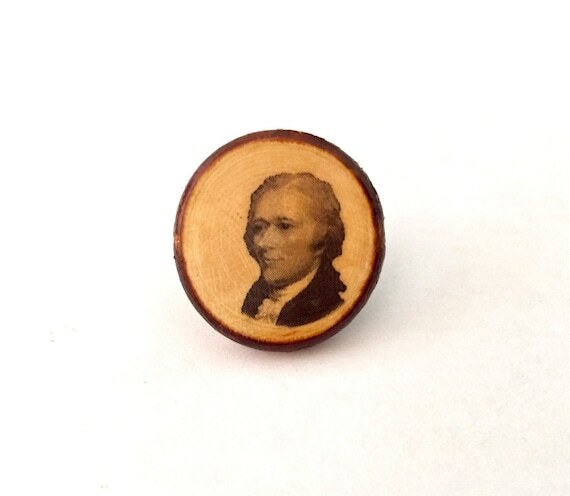 LoganArch offers a “Hipster Alexander Hamilton” soft enamel pin for $9.95. InkandMettle features a wooden, antique-style handmade pin on stained wood for $10. 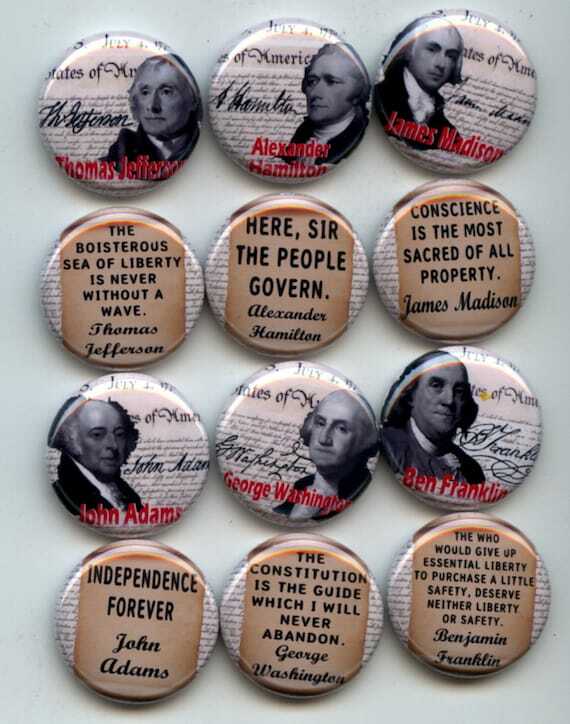 On Etsy, Yeswarea11 offers a set of handmade Constitution and Founding Father buttons featuring Hamilton, Jefferson, Washington, and some famous quotes from the founders. As an update to my older post about Hamilton-themed office supplies, here are some additional office supplies available! Alexander Hamilton Notebook (from the Signature Notebook Series)- Leather-bound notebook with Hamilton’s quotes. 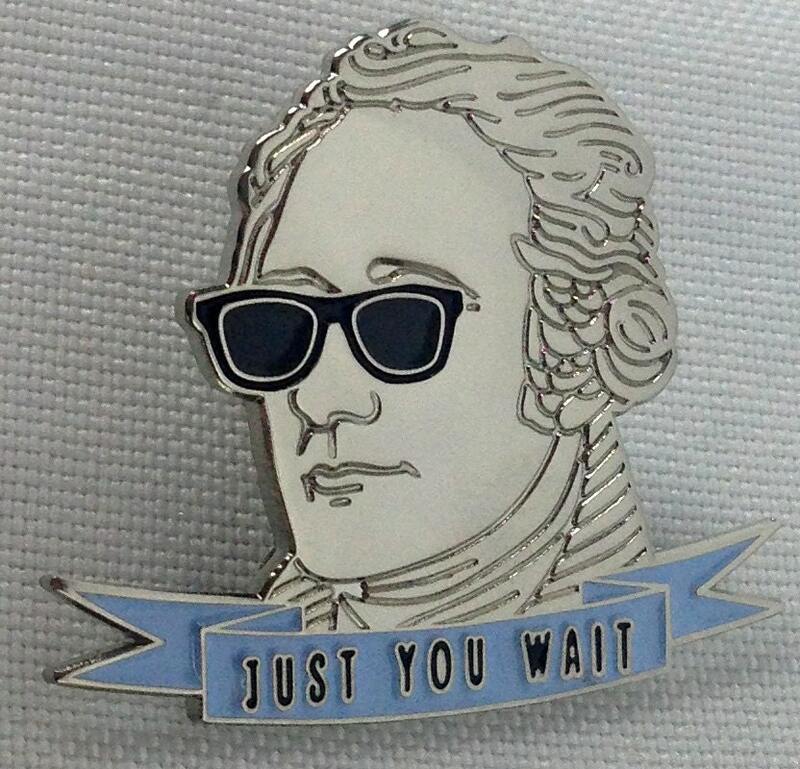 The product description states: “Alexander Hamilton is arguably one of the most inspiring—if not the most significant—of our Founding Fathers, and today, Hamilton’s legacy of brilliance still rewards us all. 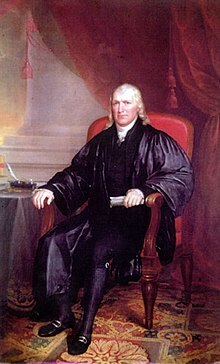 His defense and advocacy of the Constitution continue to shape our political discourse, and his profound impact on our then-fledging nation was accomplished largely through the power of his written word. 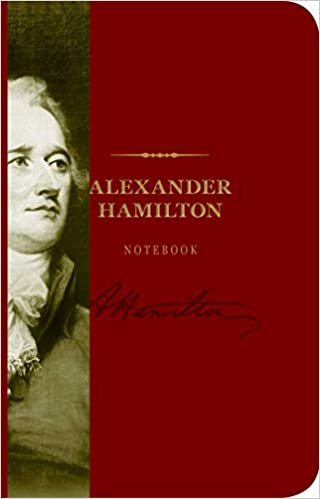 Now you can put pen to paper in your very own Alexander Hamilton Signature Notebook, and let his words encourage and inspire you as you record your daily musings.” It is available from Target from $9.87. 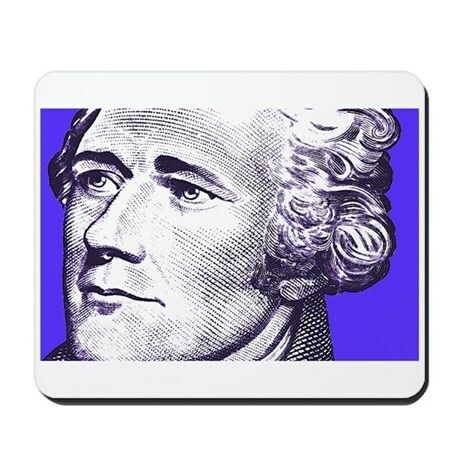 Blue Hamilton Mousepad- The Alex in Blue mousepad is a nonstick blue mousepad with a rubber backing. Available from Cafe Press for $9.99. 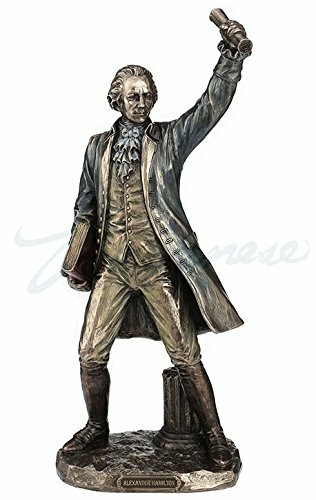 Alexander Hamilton Statue Sculpture Figurine- This 13 inch figurine is made of cold cast resin with a bronze powder finish and is available from Amazon for $56.25. 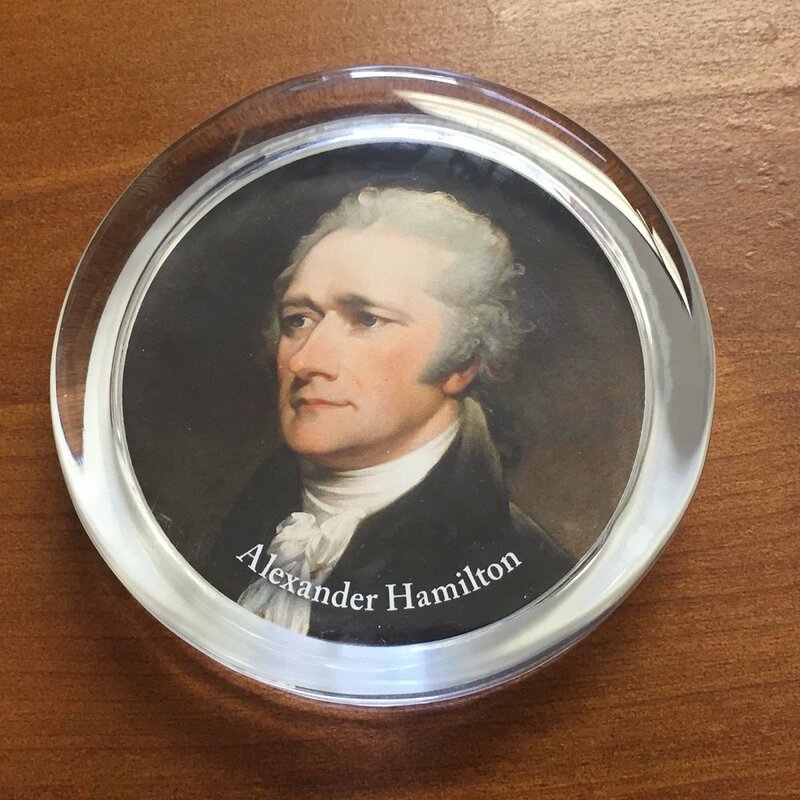 Alexander Hamilton Glass Paperweight- made of tempered glass with a felted base. The product description states that it is “an enduring inspiration and reminder of personal commitment and excellence. A visable symbol of Americas rich heritage.” It is available from Amazon for $9.95.